I am a Realtor with It's Closing Time Realty, specializing in Trophy Club and surrounding areas. I have an 11 year background in Mortgage Servicing and I am also a Certified Negotiation Expert. I have skillfully helped many first time home buyers purchase the home of their dreams. 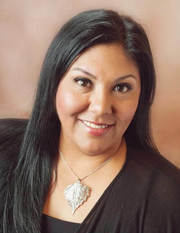 I ve also been very active in assisting families sell their homes in and around the Dallas / Fort Worth Area. I also have experience working with Commercial property. Please contact me to assist you with your real estate needs.